The BS series of ball screw support bearings are double row, angular contact thrust ball bearings, with a 60° contact angle. They are equivalent to two single row bearings in a back-to-back arrangement, with a single outer ring. 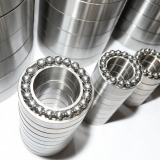 Bearings are supplied ready to be mounted. They come greased with long life lithium soap grease, with synthetic hydrocarbon base oil. 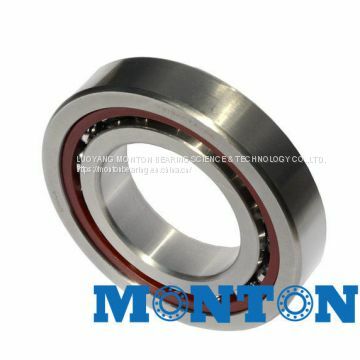 Under normal operating conditions, the bearings are greased for life. A relubrication groove on the outside surface of the outer ring allows the bearings to be relubricated during operation if necessary. The bearings are sealed on both sides. The low friction contact lip seal runs in a grove in the inner ring giving excellent sealing characteristics, while minimising torque and heat generation. Preload is set during manufacture so that the correct loading is achieved when the lock nut is tightened to the recommended torque. 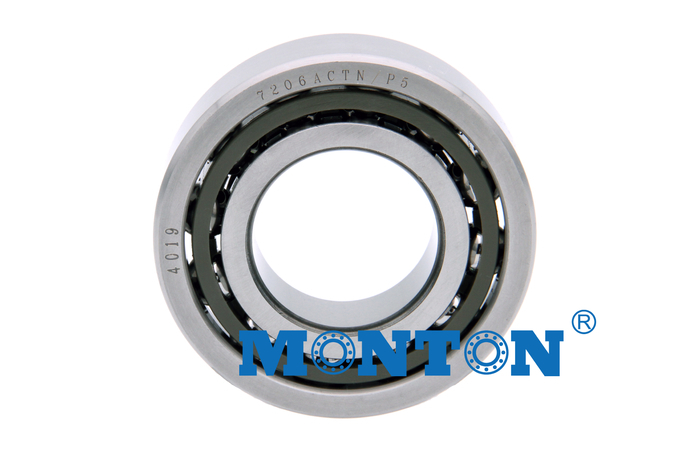 The matched DT pairs are essentially the same as the individual bearings. The two individual bearings have been matched together in the paired version. Both bearings have a V-shaped mark on the outer diameter to ensure that they are arranged correctly. INQUIRY ABOUT 45TAC75BSUC10 45*75*15 SUPER PRECISION BEARINGS FOR MACHINE TOOL APPLICATIONS High precision ball screw support bearingLUOYANG MONTON BEARING SCIENCE & TECHNOLOGY CO.,LTD.